Over four decades focused on estate and tax law, Gale Allison, PLLC has helped thousands of people prepare for the future, protect their families and ensure that their choices are honored. In doing that, the firm also helps clients reduce their tax exposure and maximize what their loved ones and favorite charities will receive. The firm's focus is always on the best interests of our clients, who turn to us for advice on matters of critical importance to their futures and those of their families. Attorney Gale Allison's practice is devoted exclusively to estate matters. She is a national speaker and lecturer on topics related to estate planning and administration, handling estate-related taxes, going through the probate process or dealing with disputes, whether through estate litigation (lawsuits) or mediation. Her mediation certifications are in Mediating the Litigated Case, Elder Care Mediation and Divorce / Family Mediation. Ms. Allison provides her clients and audiences with strategic but practical guidance regarding the set up of Wills, Trusts, powers of attorney, health care directives and other powerful legal tools - as well as the likely outcomes for inheritances or the consequences of doing it wrong, or worse, doing no planning at all! 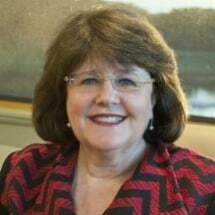 As a seasoned trial lawyer who is AV-rated* by her peers for her legal ability and ethical standards, Gale Allison represents plaintiffs and defendants in a wide range of estate litigation matters, including contested probate cases, estate settlement disputes, Will contests and other challenging situations. Having handled hundreds of cases over the course of her career, Ms. Allison is experienced with even the most complicated legal technicalities and the most difficult family issues found in complex estate matters. At Gale Allison, PLLC, we can assist you in developing or updating a creative estate plan that will meet your specific needs. We can also advise you and your family in administering or probating an estate if you have been entrusted with that important responsibility. We'll help you with the confusing and intricate details of estate-related taxes to reduce your personal exposure. Should you be involved in a will or trust lawsuit, we are fully prepared to be your advocates in estate litigation or to use our considerable mediation skills to help you and those in dispute with you negotiate an agreeable settlement. Contact Gale Allison, PLLC, to learn more.